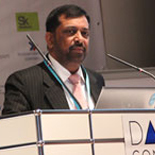 ABCI president Mr.Yogesh Joshi had the honour of representing ABCI at the World Communcation Forum at Davos held on 9th-10th February 2012. 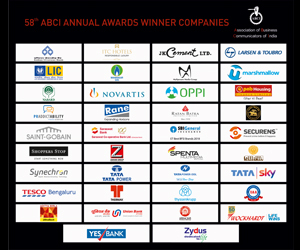 Below is the presentation given by Mr.Joshi on behalf of ABCI. "Today's external and internal mission of large communication associations." The presentation reveals a non-traditional approach to the industry of public relations and communications based on the cultural and linguistic diversity which is typical for the region the presenter comes from, and points out to 5 stages of the Indian PR model. Forum "Communication on Top" summoned dedicated communication professionals from across globe, short-listed by applying strictly the International Standards to those skilled trend-makers to its annual global conference for sharing best practices, new strategies, insights and creative ideas that will help improve the world of communications. The focus of the summit was an open dialogue uniting CEOs of leading companies and communication experts from high-rank world organizations, state-run bodies, NGOs, research centres, media units, and Internet communities. Davos, an International destination where, values trigger initiative, global initiatives thrive on communication, and wherever communication is in use, leadership is indispensable. National prosperity, business growth and scientific development, technological progress, financial success, the spread of knowledge - create synergies. Located at equal distance from Davos Dorf and Davos Platz train stations. The Congress centre provides best technical equipment, premises, and facilities for holding conferences, seminars and world summits The Congress Centre has a total surface area 12,000 sq m, three autonomous sections, a plenary hall for 2000 persons, and 34 group rooms. Davos is also famous as most sought after centre for skiing in Europe. Davos Congress Centre is the same place where World Economic Forum meets every year. 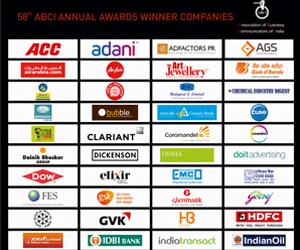 ABCI, thus set a record to step in to International Communication Fraternity at Davos.